LeBron James continues to expand his brand which now includes a stylish kind of Heat Audemars Piguet Royal Oak Offshore Lebron James chronograph limited edition watch. 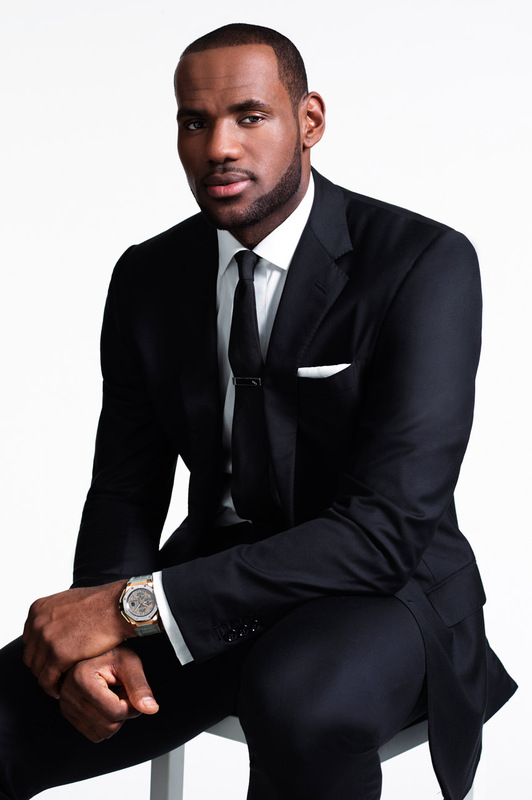 James, aka “King James”, collaborated with Audemars Piguet (AP) to design a watch that would reflect his personal style and refined tailored demeanor. James worked extensively with the AP team to produce a watch design that was capable of effortlessly transitioning from everyday casual wear to a sophisticated affair. James commented that he wanted the design of his AP Royal Oak Offshore chronograph to be something that people would love as much as he loves playing the game of basketball – an objective Audemars Piguet works to achieve in each of its watch designs. 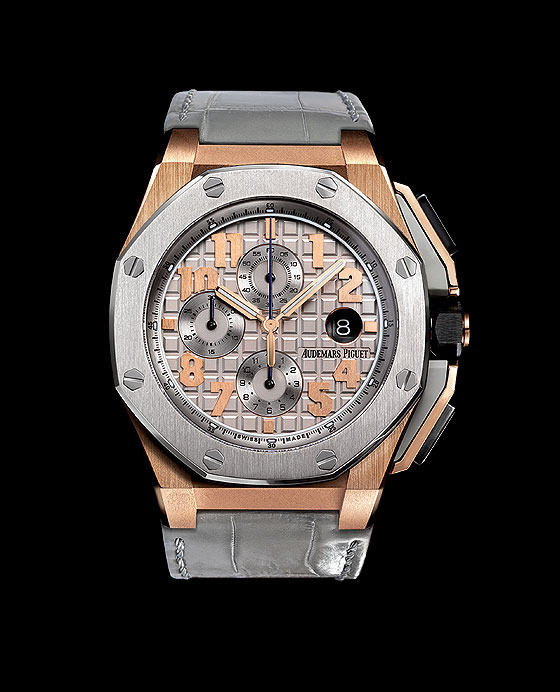 The AP Royal Oak Offshore Lebron James (Reference 26210OI.A109CR.01) chronograph watch brings its own distinctive game in an octagonal shaped 44 mm brushed 18K rose gold case harmoniously contrasted by a brushed titanium bezel. The dial exhibits the familiar AP Royal Oak family’s Méga-Tapisserie pattern in a grey color, rose gold indices (at 12, 3, 6 and 9 o’clock) and Arabic numerals. The self-winding chronograph features a date display at 3 o’clock, small seconds at 12 o’clock, and also displays minutes and hour counters respectively positioned on the dial. The crown and push-pieces are appointed in black ceramic with an added elegant feature revealed in the start/stop pusher at 2 o’clock – 14 set diamonds. AP Royal Oak Offshore Lebron James keeps time housing AP’s chronograph Calibre 3126/3840. The caseback features a glare proof sapphire crystal engraved with “Royal Oak Offshore Limited Edition Lebron James” along with LBJ signature printed in blue on the sapphire crystal. It is adorned with a grey crocodile strap with an 18K rose gold pin buckle (along with additional grey rubber strap). James and Audemars Piguet CEO Francois-Henry Bennahmias unveiled the AP Royal Oak Offshore Lebron James at a special press conference in Miami Beach, home to James’ team the Miami Heat late September of last year. 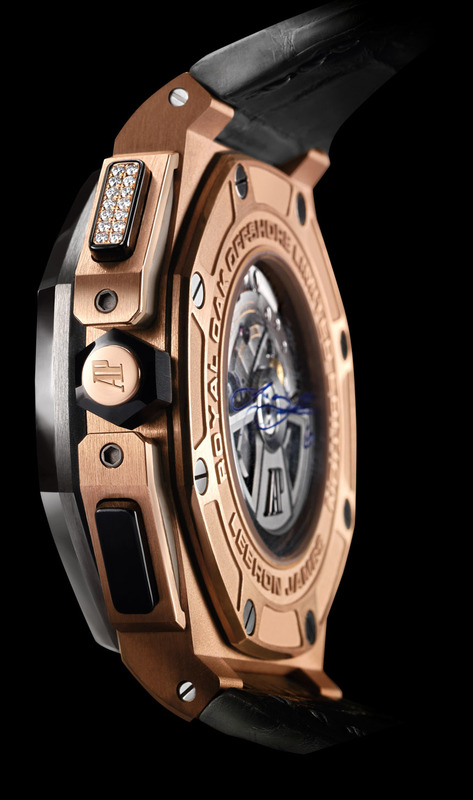 AP Royal Oak Offshore Lebron James is a limited edition watch consisting of only 600 pieces worldwide. It retails for $51,500 of which proceeds from the sale of each watch will benefit the Lebron James Family Foundation. Audemars Piguet watches can be found at watchesonnet.com.